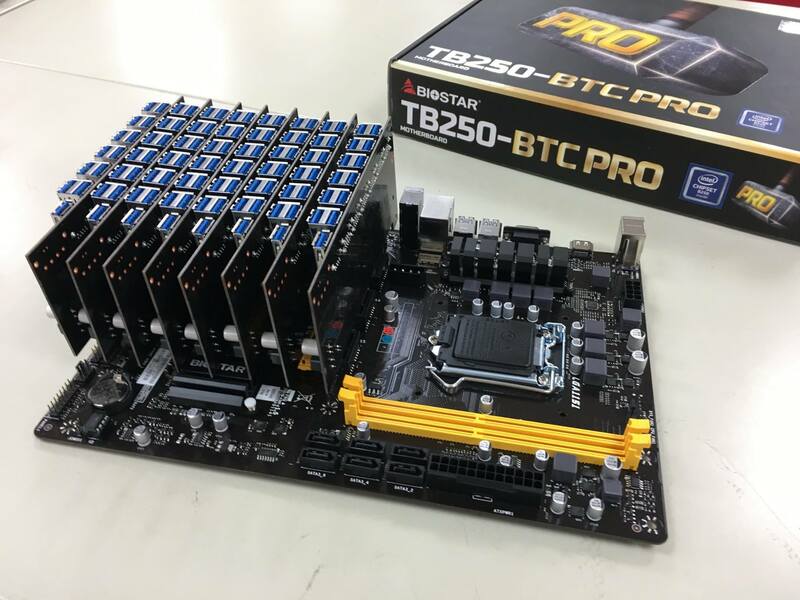 Biostar is really taking the advantage of the popularity of cryptocurrency mining. 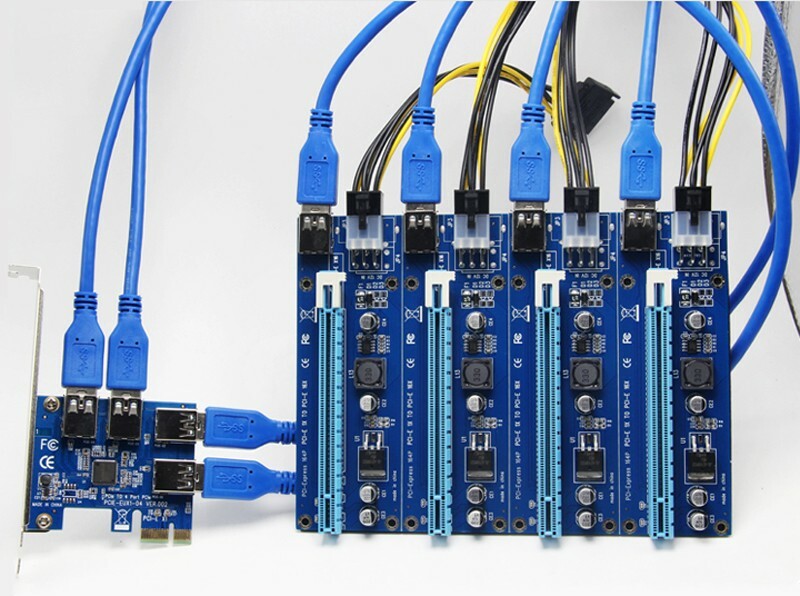 They offer a few motherboards for miners, including TB250-BTC PRO with twelve PCIe 1x slots. The company is also working on its own USB riser, as pictured below. Don’t be fooled by the motherboard packaging in the background, the motherboard in the photo is new, it has three PCIe 1x slots in each row (and one yellow x16 slot). 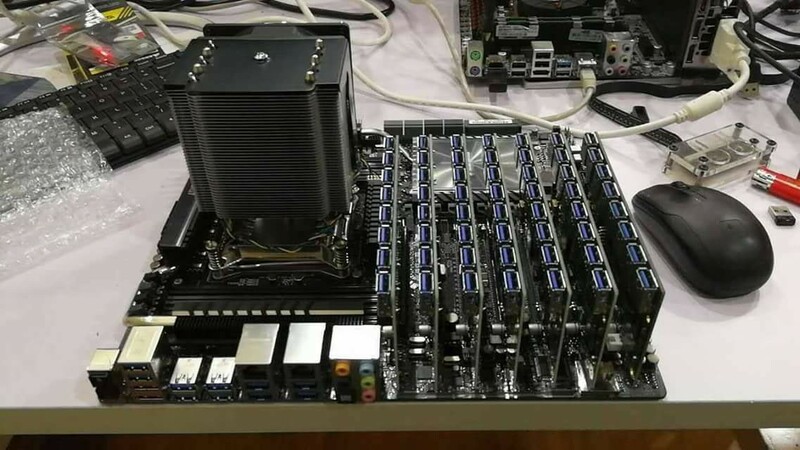 Each riser is using three PCIe 1x slots and if I’m reading this right, this motherboard can serve 104 devices. Beyond the limitation? So what’s the next extreme weapon for #cryptomining huh? Stay tuned!